Egyptian Football Federation has released a statement concerning Mohamed Salah injury and reveals it will take three weeks for the Liverpool man to be fit again. 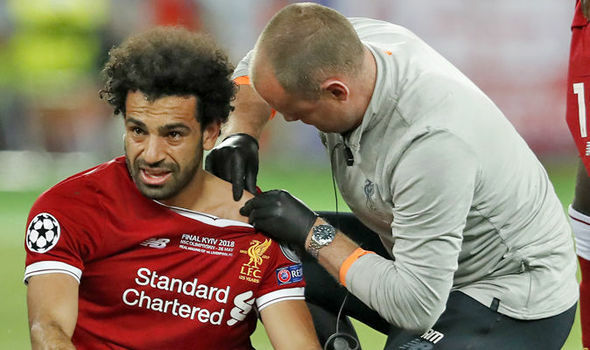 Mohamed Salah hurt his shoulder in the Champions League final against Real Madrid after a tackle from Madrid Captain Sergio Ramos. Since then there has been concern among the Egyptian fans if the Liverpool man will be fit to play in the World Cup. Egypt opens their World Cup campaign against Uruguay but it seems Salah won't be fit for the match but could make it on time for their second match against Russia. The Egyptian FA has now revealed all concerning the injury and also state when Salah will return.